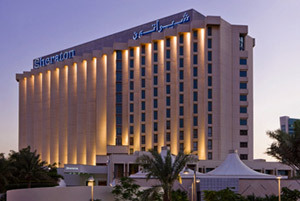 Marriott Mena House - since 1890. 6 Pyramids Road. "Leave the ordinary to live the 'unique' by the Pyramids." The tranquility and fresh, sweet breezes have attracted royalty, the rich and famous to this magical location for 150 years, offering an irresistible escape from the bustling city of Cairo just 45 minutes away. The Marriott Mena House, Cairo merges the exceptional heritage of the Pyramids standing gloriously as a witness of over 7000 years of civilization and Marriott International's 21st Century tradition of innovation. The Marriott Mena House, Cairo comprises 331 luxury rooms and suites, many boasting views of the Pyramids, the lavish gardens or the swimming pool, four restaurants and lounges, expansive indoor and outdoor meetings and banquet facilities, a heated swimming pool and a health club. 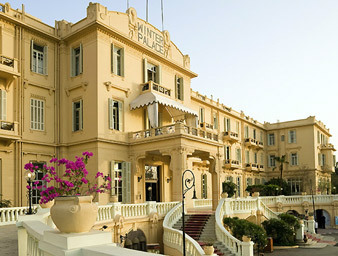 Sofitel Winter Palace - built in 1886 on the Nile banks in a tropical garden is a magical experience of history luxury that hosted royalties and celebrities throughout the years. THE AMERICAN COLONY LHW. 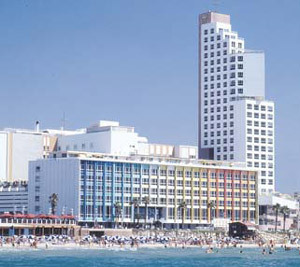 "Israel's Leading Boutique Hotel." THE KING DAVID LHW. 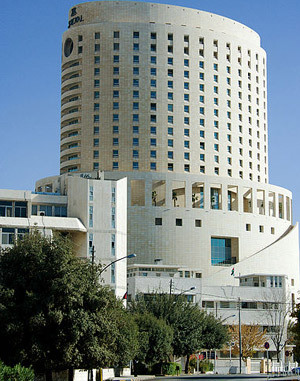 "One of the world’s legendary hotels, is a major landmark in a unique city." brown tlv urban hotel - "The Brown boutique hotel caters to the value-minded, yet stylishly discerning guest." 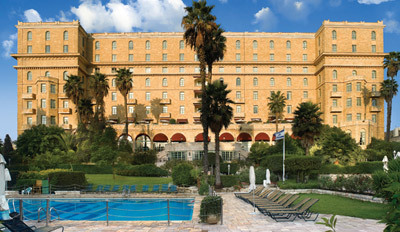 GRAND HILLS HOTEL & SPA - "The most prestigious resort in Lebanon!" Featuring the Royal Residence measuring an impressive 4,131 sqm, and recognized by Guinness World Records as the largest hotel suite in the world. Abraj Kudai - the world's largest hotel is currently under construction and expected to open in 2017. When completed, it will be the largest hotel in the world consisting of a ring of 12 towers 45 storeys high, with 10,000 bedrooms, 70 restaurants, and five rooftop helipads. There will also be five floors for the sole use of the Saudi royal family. According to Arabian Business, 10 of the towers will provide four-star accommodations, while the other two towers will be reserved for special clientele offering five-star amenities. Designed by architectural firm Dar Al-Handasah, the US$3.5 billion site is currently under construction and will stretch across 1.4 million square meters. Fairmont Makkah Clock Royal Tower - since 2010. Located adjacent to the Masjid Al Haram, Fairmont Makkah Clock Royal Tower, boasts a prime location as the closest hotel to Kaaba and yet the best for Umrah and Hajj. Standing as one of the world’s tallest buildings with 76 floors. In addition to the ultimate comfort and casual elegance of the 1542 guest rooms suites and Residences, the five-star hotel provides 56 elevators that allow easy access to and from Al Masjid Al Haram. Emirates Palace spends about $130,000 a year replacing gold ceiling - "With a $3 billion price tag, the Emirates Palace in Abu Dhabi was said to be the most expensive hotel to have been built when it opened in 2005." Yas Viceroy Abu Dhabi - hovers over land and water and spans the Yas Marina Circuit. 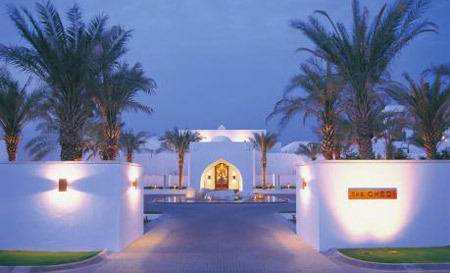 Jumeirah Al Naseem - "Reassuringly Familiar, Refreshingly Different." 387 rooms & 43 suites: Jumeirah Al Naseem offers more than ten restaurants and bars, its own beach club and the eclectic offerings from Madinat Jumeirah and sister Jumeirah hotels are only a stroll away. 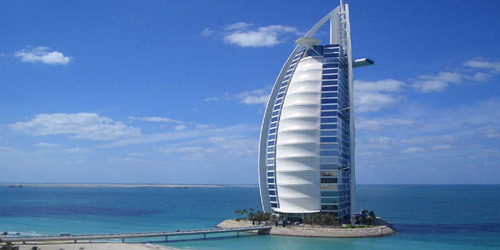 JUMEIRAH EMIRATES TOWERS HOTEL - also known as Emirates Tower Two, is a 56-storey hotel. Connected with 54-floor Emirates Office Tower by a retail boulevard, the two towers form the Emirates Towers complex. It is the world's third-tallest all-hotel building: 309 m (1,014 ft). 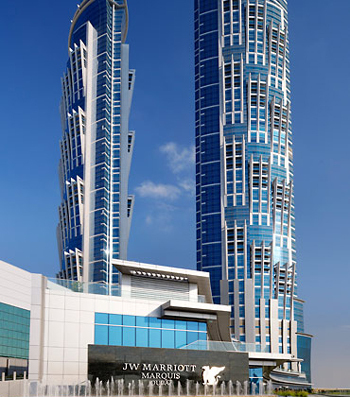 JW Marriott Marquis Dubai - 72-storey, 376 m (1,234 ft) twin-tower skyscraper complex. The tallest hotel in Dubai, surpassing the Rose Rayhaan by Rotana, and it was the WORLD'S TALLEST HOTEL when it opened on 11th November 2012. 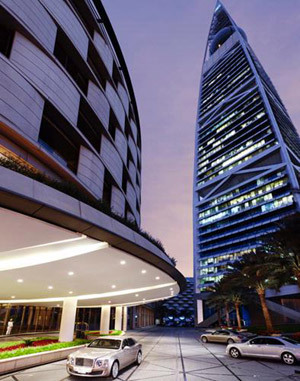 Rose Rayhaan | ROSE TOWER - soaring 333 metres, 72 storeys and certified as the world's tallest hotel by Guinness Records 2009-2012 - now surpassed by the 376 m (1,234 ft) JW Marriott Marquis Dubai, opened on 11th November 2012. 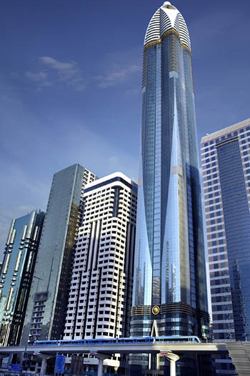 THE ADDRESS DOWNTOWN DUBAI - 63-storey, 302.2 m (991 ft) supertall hotel and residential skyscraper in the Burj Dubai Development Area. 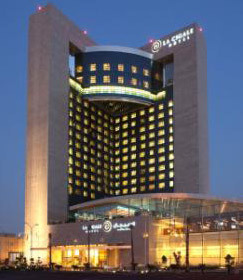 The Meydan Hotel - Meydan Racecourse Al Meydan Road. "5-Star luxury, The Meydan Hotel is designed in the shape of a wave in motion with a luminous green glass facade, boasts spectacular views, substantial spaces and an abundance of natural light. Enjoying a majestic position overlooking the Dubai racecourse, yet within easy striking distance of Downtown Dubai, the Sheikh Zayed Road and Dubai International Airport." 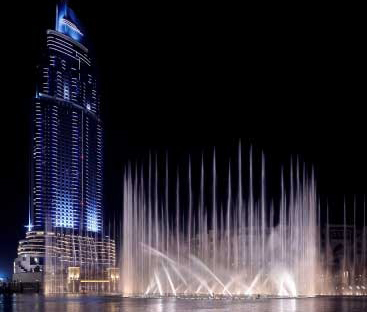 The St. Regis Dubai - Al Habtoor City, Sheikh Zayed Road, Dubai, U.A.E. "Where indulgent spa treatments, sumptuous cuisines, and memorable meetings await you." Sir Winston Churchill Suite - "Located on the highest floors, and featuring delightful landscaped garden views, the three-bedroom Sir Winston Churchill Suite offers 9828 sq ft / 913 sq m sumptuous luxury.